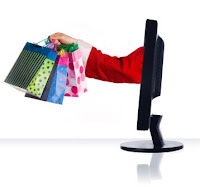 I realise that I often use this blog to rant about poor online customer service so I thought I would begin by posting one of my more positive experiences of online retail. Graham Chorlton recently wrote a post on the E-Consultancy Blog about how high street retailers are handling Christmas delivery. Delivery times are crucial around Christmas, particularly for someone like myself, who aims to do the majority of their shopping online but still leaves it until the last minute. The thought of gifts not arriving on time and having to find presents for all my family on Christmas Eve, fills me with dread. In 2006 I ordered a lot of my Christmas presents from Amazon. I placed my order on 10th Dec. I had ordered a variety of different delivery dates but decided to consolidate all my orders into one delivery on 18th Dec. 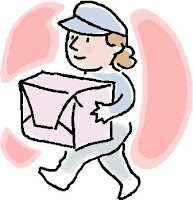 I specified that I would have the items delivered to my office as, like most full time employees, I am unable to sign for deliveries at home as I am not there during the day. There really is a gap in the market for a delivery company to devise a solution to this problem. Whether it be paying extra for evening or weekend deliveries or specifying a secondary address in the event of non-delivery, this is a major barrier to online purchase. For example, I recently had a package delivered from Apple, that I had to drive about 10 miles to my nearest TNT depot to collect, taking almost half a morning out of the office. If I had known this, it may have been simpler for me to purchase directly from an Apple reseller, all be it for a slightly inflated price. Anyway, I must get back to the Amazon story as I said this would not be a ranting post. I went on skiing on the 17th Dec and returned on the 23rd only to find that no delivery had been made. After a bit of enquiry at work I decided to call Amazon directly via their customer services callback mechanism. This service worked incredibly well, the callback happened almost instantly. Amazon were able to track the order from dispatch to my local Royal Mail Depot. I managed to speak to the local depot who told me that my delivery had been left for postal delivery. I had to conclude that my parcel must have got lost on the final leg of the journey, the 500m from the Royal Mail depot to my office. However, with nothing in the office and the Xmas shopping hours rapidly running out, I decided to speak with Amazon again. Despite the fact they had really done nothing wrong, they assured me that they would do their best to get all the items sent out to me by special delivery the next day (24 Dec). The delivery was made as promised and even included the items that originally had extended delivery times. This level of customer service, I thought was exceptional and have not forgotten. I believe that Amazon are a best of class online retailer that are continually innovating within not just their sector, but online as a whole. The fact that their customer service is also superb demonstrates that they have a a customer centric approach that will inevitably allow them to sustain growth even during this economic decline. I thought no more about the whole episode until a year or so later when a departing colleague was unpacking his desk and found the original package from Amazon that he had accepted, signed for and forgotten about. I should mention that I have no affiliation with Amazon at all. I'm just delighted that they were so attentive and so helpful, especially as the blame did not lie with them. Google Chrome officially launched in Beta on 3rd September 2008. Since this point the blogosphere has been filled with commentary about the performance of the new browser. Lot's of bloggers are talking about the pro's and con's of the new browser and how it fulfills or does not meet each of it's promises. Fewer have touched upon the Google strategy that sits behind this move. Why have Google released a web browser? Perhaps the answer is too obvious for the more educated online pundit to cover but I felt it was worth blogging about. Microsoft are a huge organisation. They have made it clear that they are prepared to devote almost unlimited resources in order to acquire a higher proportion of the ever growing online advertising investment. It is difficult to argue that they don't have the greatest opportunity. Windows is the default operating system for all home PC's. 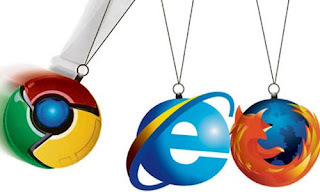 Over 70% of internet users also continue to use Internet Explorer as their default browser. But 86% of users continue to search the internet using Google. This represents the biggest tug of war on the internet. Microsoft have the browsers but Google have the searchers. MSN launched Internet Explorer with MSN Live Search set as the default option in the search box. Google were not happy with this step, complaining to the European Commission that Microsoft were acting anti-competitively. The high percentage of users that change their Internet Explorer default search engine to Google is surely the biggest insult Live Search can get. Recently I blogged about the latest version of Firefox, 3.0. I have been very impressed with this browser and after a brief dalliance with Chrome, I have reverted. The beauty of Firefox is it's compatibility and the abundance with available add-ons. Although Chrome is also open source, Firefox just feels more malleable and more personal. Another question that bloggers have been asking is how the launch of Chrome impacts upon the relationship Google have with the Mozilla Corporation. It is well publicised that Mozilla earn a large proportion of revenue from Google via searches and their established referral scheme. Indeed, this scheme has recently been extended to 2011 .Reading into the detail, it would appear that Mozilla are relatively unfazed by this new addition into the market. My suspicion is that the lines between these organisations are quite blurry. They have collaborated on a number of technical, product and financial aspects in the past and I am sure that Silicon Valley staff move quite freely between the hi-tech organisations. After all, they are less than a mile apart. The latest statistics demonstrate that Chrome has failed to have the impact Google clearly intended. My feeling is that they released Chrome out to the online community, gathered information based on it's reaction and are now working on making the relevant improvements. An indication of this is that they are no longer advertising on Chrome on the classic Google search page. Microsoft and Mozilla are not sitting back and letting Google innovate on it's own. Many of the major benefits of Google Chrome are evident in the Beta version of IE8 and there are some very exciting developments anticipated when Firefox 3.1 becomes available for download later this year. One thing is for sure however, Google are by no means finished in this area. This is the second installment of my rant about Yahoo! search marketing and the difficulties I am experiencing as an advertiser trying to advertise on Yahoo! as effectively as on other search engines. This installment focuses on an issue that will be particularly concerning to advertisers that have previously experienced problems with match types on other engines. As I write this blog post, this issue continues to flummox the account management team at Yahoo! UK. The issue has been forwarded to their technical counterparts but a solution has been outstanding for months now. Unlike Google, Yahoo! do not have as many keyphrase targeting options. Standard match is the option that is the most similar to Google's exact match but all keyphrases are set to advanced match by default. Historically, the advanced match option in Yahoo! has been a bit too vague for advertisers likings. Keyphrases have matched to incorrect terms causing Yahoo! search campaigns to be less efficient than other engines. Although Yahoo! claim that the functionality updates delivered with Panama allowed them to tighten up their advanced match facility, it is still advisable to initially implement campaigns with keywords set to standard match. But even this option creates problems for large advertisers that have the intention to run highly targeted campaigns. It appears that terms on standard match automatically map to other terms within the account. This is a similar problem to Google's problematic expanded broad match. For example, we are currently trying to bid on the phrase "Majorca Holidays". According to Yahoo, we are unable to add this term to our campaign because it is mapping to another term within our account. This term is "Holidays in Majorca". In order to increase the position on the term "Majorca Holidays" it is necessary to increase our bid on the term "Holidays in Majorca". In my view this is ludicrous. If is deemed that the two keywords are so similar that an advertiser may only bid on one of the terms, then the results displayed on a search for "Majorca Holidays" and "Holidays in Majorca" should be identical. Furthermore, all advanced match terms should match to both terms. The auction on the two different keyphrases should be independent from each other in all eventualities. Why is it not? The real question however is why does this mapping occur? All the terms in our account are on standard match, not advanced match so why does Yahoo! choose to match one term against another without the advertisers' explicit permission? The highest sales volume for my organisation comes from sales of Majorca Holidays. I wish to pay to advertise against the term "Majorca Holidays" It appears that Yahoo! search marketing cannot facilitate this. Now if this keyphrase creates 100 clicks per day, at an average £0.50 per click, then Yahoo! are potentially throwing away £18,250 per year that I would prepared to invest with them on a single keyphrase. If 100 keyphrases are experiencing the same problem then this figure increases to £1,825,000 p.a. of advertising revenue from one account alone. Considering the nature of the recent and very public merger talks, I am not sure that Yahoo! shareholders would be as comfortable with these figures as their account management staff appear to be. My mantra is to maximise potential in everything I do. I cannot stand to see businesses fail to capitalise on the opportunities that are available in their sector. This is particularly pertinent in the online world; Why is Friends Reunited not the success Facebook is? Why have online retailers not reacted better to Amazon's entrance and rapid growth in their sectors? And why do Virgin brands not dominate the SERPS? With this in mind, I cannot understand why Yahoo! can't make any money. As an advertiser that invests considerably in paid search, I am willing Yahoo! and MSN to make inroads into the dominance of Google and reduce users and advertisers dependence on one engine. However, I continue to be frustrated with their inabilities to invest my budget prudently and effectively. Exasperated at my efforts to get any answers from Yahoo! let alone any resolution to these issues, I want to highlight some of the ineffective elements to advertising with Yahoo! other advertisers with a view to putting some pressure on the internet giant to pick up the ball they have so clearly dropped. I have been writing this post for the past few weeks and it is now turning into a thesis entitled "The ineffectiveness of Yahoo! search marketing for advertisers". Therefore, for the sake of my readers, I have split this post into three parts. "There are two ways in which Yahoo! Search Marketing displays search results across their network – Sponsored Search and Content Match." There is however a third option that Yahoo! keep relatively quiet. 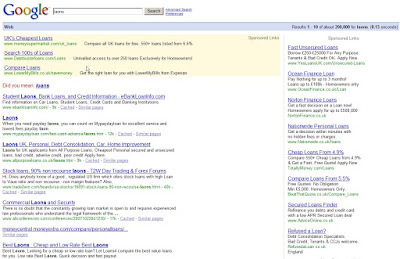 Partner sites use listings taken directly from the Yahoo! index to show alongside relevant content. An example of such a site listing can be seen on the results pages for price comparison site TravelSupermarket. 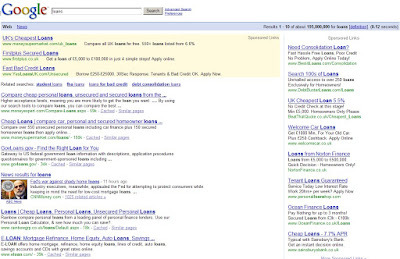 These adverts are shown as they are targeted to the users search criteria. I am not signed up to the Yahoo! content network however, these listings are being provided by Yahoo! search. This problem is exacerbated when you dig further into the sites that Yahoo! class as partners. For example, sweet-deals.co.uk. This site is not a search site. It is a spam site that is built with the sole purpose of making the owner money in a similar fashion to AFD. It offers no value to user. It is not search advertising, it is content advertising. The bad news is that there is no opt out of this scheme. If you sign up to Yahoo! paid search, you are automatically defaulted into their network of partner sites. This is really poor for the advertiser. Not only are they forced to advertise on spammy websites but the metrics on standard keywords are influenced by the performance of these sites. When trying to optimise keyword performance on Yahoo! these sites must be taken into consideration. For example, how does a site optimise for the keyword "car insurance" when the performance will vary so wildly across traditional search and these partner sites. Worse still, it is not possible to track these sites individually, so I cannot differentiate between the performance of "car insurance" as a partner listing on the desirable domain moneysupermarket.com and the less desirable wealthygeek.com. Not many advertisers even know that these partner sites even exist. Others are more vocal about it. I would urge every advertiser to stop worrying so much about the amendment to the Google trademark policy and contact their Yahoo! representative about this scheme and ask them what value they see in advertising here. Part 2 will focus on Yahoo! Mappings. It was announced last week that further steps are being taken in order to curb the volume of illegal file sharing online. Whilst I do not in any way condone file sharing, I do believe that the entertainment industry is getting a certain degree of payback for years of mistreating it's customers. 1. As I have discussed in previous posts, I am an early adopter. I invest in the latest technology as soon as it comes out. I upgraded all my cassettes to CD, my VHS tapes to DVD, my CD's to minidisc, purchased a Sony Atrac player, an iPod etc. Every time a new format arrives, the previous format becomes second-best. For example, I own a number of classic movies on DVD. Now that Blu-Ray is on the scene, am I expected to purchase them again in the newer format? Surely, a discount should be awarded to customers that own an existing format and are looking to upgrade. This strategy could be employed in order to grow the Blu-Ray market that currently represents only 2% of video-disc sales in the UK. In order to compete with digital markets and the illegal download community, the price of CDS & DVDs should be reduced. Perhaps if the latest music CD was priced at £4.99 in the shops, then the retailers would not suffer as much. 3. I hate purchasing a CD to find that it is only 45 minutes long, or there are a number of tracks that are clearly album fillers. I am sure a number of people have purchased an album based on the strength of one good track. Is this fair on the consumer? Downloading digital files has somewhat resolved this problem. It is frightening simple to purchase music on iTunes. You can purchase individual tracks and preview tracks before you buy. Some artists are embracing digital. Radiohead launched their album, In Rainbows, online before releasing it on the high street. They also allowed customers to suggest how much they believed the album to be worth. If this was the case for all artists, the good ones would still be profitable. Radiohead made over $2M in revenue from the release of their album, even though 62% of customers paid nothing. The volume of free illegal downloading was of course far less. Other artists are less welcoming of digital markets, although they don't mind charging over £100 for a concert ticket! The entertainment industry must face up to the fact that in the future the majority of revenue will not come from traditional sources. The cash cow that was traditional CD & DVD sales is rapidly deteriorating. They can be criticised for becoming too complacent with the revenue attained from their captive market. They have failed to innovate and are only now that their market share is dwindling, starting to embrace new opportunities. User experience is a discipline that has come to the forefront of online in recent years. One popular online focused magazine has even adopted the mantra "User Experience is King" for the year. When people think of usability, they often refer to how a website works, the information architecture, the design and navigation elements and its accessibility. Usability is very much at the heart of an e-commerce website, it's main intention being to maximise conversion via continual optimisation based on meaningful testing and analysis. The main principles of best practice usability are still restricted by the manner in which we use our computers; the limitations of a mouse and keyboard that are used to navigate through the world wide web. Don't Click It is an experiment that challenges the traditional point and click method of web navigation by demonstrating a browsing experience without the requirement to click the mouse or keypad. So without the requirement to click, what use are of mouse buttons? In reality the mouse itself has limited life remaining. Microsoft Surface was one of the first developments into touch screen technology, offering a coffee table interface where multiple users could drag and drop files accordingly. As with many other Microsoft innovations, the product lost it's way and could be accused of being launched without a market in mind. There have been other attempts but it is the success of the iPhone and iPod touch that has really pioneered the way for the touch revolution. A number of mobile producers are already following Apple down this route, quickly releasing products with similar touch screen technology. HP have been the first to introduce this technology to the home computer with the HP TouchSmart PC, that recently launched in America. Other manufacturers are developing similar products making it realistic to expect touch technology to become an option for those looking to purchase a PC within the next two years. For the film Minority Report, Steven Spielberg took advice from some of the worlds most renowned futurologists about how technology will evolve in the next fifty years. Some of these predictions are already starting to become a reality. 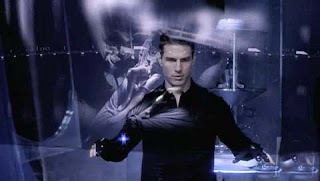 The scene in which Tom Cruise navigates through various files using electronic gloves demonstrates functionality that is not too dissimilar a Wii remote. The movement is detected and translated into an on screen action. The impact on traditional web usability will be huge. Touching and pointing your way through a website promises to be a much simpler and more fulfilling experience than point and click navigation. There will be significant opportunities to engage visitors and encourage further interaction with websites and brands. These rapid improvements to technology will not come without obstacles, the most significant being accessibility. This should regarded as part of the greatest challenge, to create an improved web experience for everyone. I expect touch and movement detection technology to be a form a major part of the future of web browsing, fundamentally changing the principles of usability as we know them. I wonder what Jacob thinks. In order to unify previously disparate digital advertising functions, Microsoft created Digital Advertising Solutions (MDSA) was created in 2006. It's aim was to consolidate advertising via MSN, the Xbox, Windows Live and future Windows Mobile and IPTV. It was MDAS that recommended Microsoft strike a deal with social media giant Facebook and purchased in game advertising specialist Massive. One of their earliest advertising campaigns, entitled "The Break Up" was designed with the intention to challenge advertisers to analyse their existing relationship with customers and how digital marketing could be used to transform and modernise this relationship. The follow up video, "Inspiration Anyone?" takes the concept a bit further and examines how the opposition to adopting modern marketing is often embedded within the upper echelons of some organisations. Even within organisations with a high level of e-commerce adoption, digital marketers can still find it difficult to change the opinions of more traditional marketers and their classical methods. A lack of in depth understanding is the key reason behind a reluctance to adopt modern marketing practices with words such as "integrated", "viral" and "Web 2.0" often banded around meaninglessly. It is the responsibility of digtial marketing managers to educate and prove the benefits of digital marketing in order to gain the required backing and budget to deliver business gain. A few weeks ago I had the privilege of attending the NMA Effectiveness awards as a guest of web analytics company Nedstat. The event was held at the Grosvenor House Hotel off Park Lane and was a strictly black tie affair hosted by David Mitchell of Peep Show fame. It was the first awards dinner I have attended but hopefully it won't be the last. Don't get me wrong, it's nothing to do with the awards. Nedstat, myself nor any company I work for were even nominated for an award (this year). In fact the only award that could possibly have gone the way of my organisation went to Chiltern Railways, a site that I shall review from a marketing perspective, at a later stage. This night was all about relationship building. From a B2C perspective, millions of pounds are invested into CRM and brand building in order to encourage existing customers to engage with brands and maintain their loyalty. However, in the B2B world things are very different. For a start, there are less customers to speak to, so a more personalised approach to relationship building is possible. It's difficult to transform this to a B2C scenario, especially from an organisational perspective. The only way this can truly work is if the brand values flow seamlessly from every customer touch point. For example, in my early years as a Holiday Rep, it was always the customers that I had a drink and a laugh with around the bar that gave the best feedback at the end of the week. The fact that these opportunities do not exist in every organisation is one of the greatest challenges facing CRM. Without doubt, my opinion of the my hosts is certainly heightened as a result of the evening. Despite little shop talk, their brand was well represented by the their employees. Therefore, from their perspective the night was successful as a relationship marketing mechanism. If I ever move into B2B, it is certainly something I would look to use. But if none of this is important and you just like the odd glass of free champagne, good food and a great night out, then I would recommend attending every event possible. 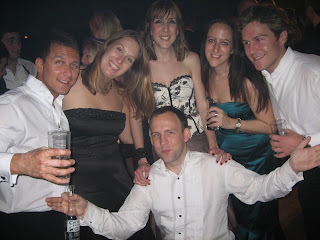 The photo below was taken towards the latter stages of the evening! 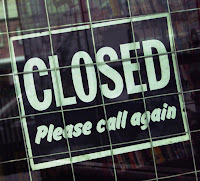 With prospects of a gloomy economic future gathering momentum and the credit crunch a buzz topic in today's society, it is interesting to contrast the potential repercussions on the high street compared with those of pure online businesses. On Monday online fashion retailer ASOS.com announced that sales had increased by 80% for the year (to April 08). The organisation have cited various on site improvements for the jump in financial performance but remain cagey about their ability to sustain this level throughout the year. On Wednesday however, major high street retailer Marks & Spencer announced that sales had dropped by 5.3% in the past three months causing a 20% drop in share price. Chairman Sir Stuart Rose said "consumer confidence levels have deteriorated markedly and market conditions have become more challenging"
These performance figures are clearly polarised. It is interesting to note that in a retail market that is facing a dim 12 months, online performance is above expectations. I predict that if the economic downturn is as bad as financial pundits are predicting, pure online businesses will be impacted to a lesser extent than more traditional multichannel retailers. Due to the amount of credit available in the past few years, consumers have become accustomed to purchasing with fewer restrictions. This consumer mentality will remain, even as purse strings begin to tighten. People like to buy stuff. Therefore, it is natural to assume that consumers will become more active online as they try to seek out the best possible prices for the same products. This will create a small surge in online activity. It should be acknowledged that there are two separate demographics at play here. ASOS appeals to a younger market that are less affected by the reducing house prices and rising interest rates. I don't know enough about fashion to be able to comment on the size of the overlap between their respective customer bases. Before finding fame as David Brent Ricky Gervais and Office cowriter Stephen Merchant used to host a Saturday afternoon radio show on London based XFM. Whilst working on the show they uncovered possibly one of most unique characters ever to work in entertainment in mancunian producer Karl Pilkington. Like a far more abstract version of Larry Sanders, Karl's stories of growing up in Manchester would not be believed had they not originated from his innocent, half witted mind. Pilkington has unwittingly influenced many of Gervais' comedic efforts over the past decade and has been referenced in a number of Ricky's stand up performances. One of the most popular features of the XFM show was Monkey News, an item where Karl sprouts unbelievable stories about monkeys obtained from a dodgy source on the internet. The funniest part is that he actually believes it is all true. Here is one of my favourites, that was subsequently animated and released as part of the world record holding Ricky Gervais Show Podcast. Google's Adpreview tool can be used to check the position and creative of PPC adverts, within Google. We all know that there are plenty of anomalies that can be found within sizable Adwords campaigns, so Adpreview can be used to understand campaigns from a users point of view. Adpreview also allows users to conduct a search from a particular region, so that advertisers can understand local competition and evaluate geographic targeting opportunities. One of the frustrations of this tool is that you are unable to click on an advert and check that it deeplinks to the correct landing page. This can only be checked from the standard Google search results. i recently discovered however, that there is a method that can be used so that advertisers can check creative and landing pages within the Google search results, at no cost. Whenever a user views a SERP that features a number of sponsored links in the right hand rail, a link stating More Sponsored Links is located beneath the final paid advert. Clicking on this link takes users to Google's Ad Search feature. Ad Search only displays paid adverts. Advertisers can again use this feature to understand which advert is showing on a particular key term and the appropriate creative that is showing. The difference with Ad Search is that links can be clicked on, at no cost. To explain further, the adverts displayed in Ad Search sit outside the traditional AdWords algorithm. Clicks and impressions are not accrued within Ad Search and consequently advertisers are not charged for clicks. Adverts are shown, even when they have met their daily budget allowing additional exposure for those with small budgets wishing to compete on expensive high volume terms. Google of course will not be drawn on the volume of clicks that take place within the Ad Search feature but these are essentially free paid clicks that are contributing towards paid search objectives. For the past couple of weeks however, this feature has not been functioning correctly. When clicking on more sponsored links, the results are quite erratic. Looking closer at some of the adverts, it would appear that there is a database error with the matching of correct advert titles. As far as I can see advert descriptions, display URL's and landing pages are all correct. It is important for search marketers not to over-rely on the statistical information generated by adwords. Adwords metrics are all displayed in averages, making it difficult to glean any really meaningful information. The best piece of information anyone has ever told me to deter me from relying on averages is that the average person has less than two arms. By using Adpreview and More Sponsored Links, advertisers and agencies can gain an understanding of how a user views at search results. This qualitative information should always be used in conjunction with statistical data in order to make meaningful search marketing decisions.